Southall in West London (UK) is a Punjabi town which boasts over 10 Gurdwaras. For the last 40 years or so I have lived within a mile of the two Sri Guru Singh Sabha (SGSS) Gurdwaras run by the same management. Both are within a few hundred yards of each other. The golden-domed Gurdwara at Havelock Road was built at a massive cost of £ 17.5 million donated by the Sangat. The architectural design-winning building was completed and opened on Sunday 30 March 2003 with much pomp and ceremony. The Malaysian Sikh band led the Nagar Kirtan and the whole environment of the town was filled with deep religious fervour. 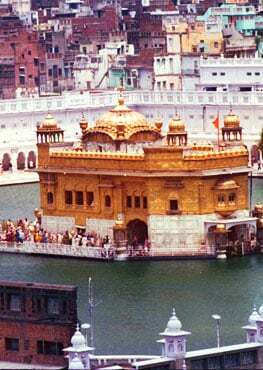 We hoped that with Baba's full Kirpa as the Punjabi truck drivers would say, from such a magnificent Gurdwara building would flow Sikhi parchaar for next generations. Like most Gurdwaras in the diaspora these days, the management committee of SGSS Southall too is elected and I have watched over the years the intensive elections fought for the seva-sambhaal (care-taking with Sikhi humility!) of the Gurdwara. I am using SGSS Gurdwara, Southall only as an example to show how wasteful and divisive Gurdwara elections are. At about £500 to £1000 per coloured glossy page, I counted about 22 pages of advertisements in just one Panjabi weekly leading up to the election dates this month. There is another main Gurdwara election in East London later this month. The Southall Gurdwara elections are over and it is a "hung parliament" with no clear result. To the casual observer this would seem to be so much waste of community resources. Nevertheless, in view of the large sums spent on advertisements and hundreds of large wall posters, Sikh TV slots etc, one assumes that Gurdwara business must be good business. In fact, most of the money is spent by local businessmen backing the "Sher" (lion), the "Baaj"(hawk) and such symbols of the election-fighting groups. All sorts of past and present misdeeds of those in opposition are revealed, so that all stand exposed! After the traumatic events of 1984, many Gurdwaras were taken over by frustrated youngish Sikhs. There is little doubt that some exploited the just anger and confusion after the ghalugharas of 1984, centred around Amritsar and Delhi, to own advantage. Today, despite police presence during Gurdwara elections, they are comparatively more orderly. Some regard Gurdwara elections better than the system of drawing lots - the parchi system - which may not select the best qualified sevadars to run the larger Gurdwaras. Maybe, like democracy, the election system is the best of bad systems! However, Gurdwara elections do not accord with the Khalsa tradition nor with Gurmatt. A Gurdwara is not a place for seeking chairs (kursis) but to serve Sikhi institutions, starting with the local Gurdwara and Sangat. For seva or service we are reminded by Sikhi tradition that we can serve by making available our physical effort (tann), serving with mind (mann) and by donating part of our earned income (dhann). We serve the great institution of the Gurdwara by donating part of what the Guru has bestowed on us - body, mind and wealth. If Gurdwara management is not inclusive involving all, then we are failing in our duty to make the Gurdwara the Guru's Door for all to enter and learn through Sikhi seva - serving the community with humility. A Gurdwara is not a business in which some have shares so that it is run like a business or a company. Yet, that is the way Sikh institutions are run today - not in an inclusive manner but exclusively by a few. The more influential and affluent local Sikhs seek to run a Gurdwara like a business after fighting and winning elections. Sometimes they even manage well. The question is if the Gurdwara then continues to be the fount of Sikhi seva for all including the next generations. Do young Sikh boys and girls flock to the Gurdwara to do seva or are they being driven away? After the elections, one group takes over the management, while the opposing groups are left nursing their wounds in bitterness! In fact, in Guru's Darbar, all of us are losers after each election campaign. That is the result after a massive waste of money, emotional energy and mud-slinging when yesterday's friends become today's enemies. Sikhs are doing well in most fields. Sadly, they are lagging behind in managing Gurdwara resources. 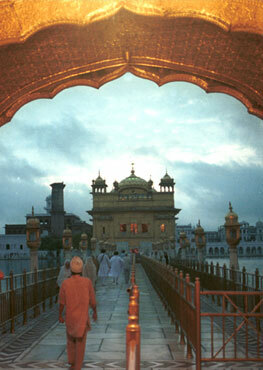 The Sikh Reht Maryada guides a Sikh from personal life to Sangat life, centred on the Gurdwara. After all, Gurdwaras are the Guru's training centres for Sikhi seva in humility, dedicated to Panth di chardhi kalaa and sarbatt da bhala. We need to re-discover Sikhi procedures for selection of volunteer sevadars by the Sangat. Some of us have seen this happen in our young days in diaspora countries like Malaya and East Africa. True Sikhi spirit of seva-bhavna and the skills needed to run the diverse activities in Gurdwaras were not advertised but recognised by the Sangat.